I’m not a literary critic, but I love to read. I also find myself knee-deep in wine study these days, but I had vacation. How can you study wine and enjoy a relaxing vacation at the same time? 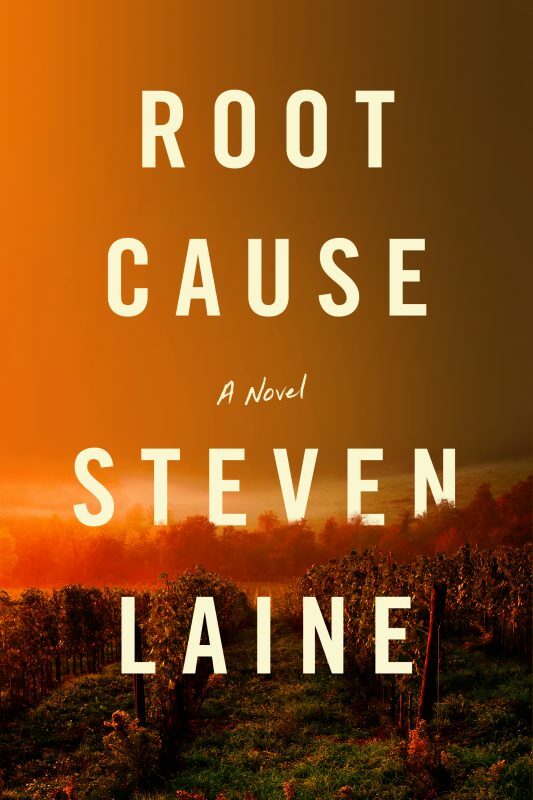 Well, find a beach (or a pool) and pick up a copy of Steven Laine’s novel Root Cause. I was lucky enough to have someone with Book Publicity Services reach out to me to see if I would be interested in reading this book, and with my upcoming vacation, of course I said yes. This book is the perfect vacation read, and was especially perfect for me as it allowed me a piece of fiction filled with wine facts, so I didn’t feel too guilty as I took a break from my studies. A glass of wine and Steven Laine’s book Root Cause, on the balcony overlooking the pool. Reading Steven Laine’s Root Cause by the beach. You don’t need to be a wine expert to enjoy this book, but if you pour a glass and read this adventurous romp, you will come out knowing wine trivia to impress your friends. The story follows a flying winemaker around the world as she investigates and tracks the plant louse “Philomena”. “Philomena” is actually a strain of phylloxera which is no longer put off by American root stock. (The name comes about due to a typo in a printed article). If you are in the wine industry, or just a wine lover, that may be enough to put fear in your heart. If phylloxera is a new term to you, let me give you the quick lowdown. This louse was taken to Europe on American Vines and infected vineyards all over Europe in the 1800’s. Vineyards were ripped out or burned to stop the spread of this louse. 70% of the vines in France were destroyed. There was a happy ending to this real life story. It was discovered that American root stock was impervious to the louse and vines the world over were grafted onto this root stock. So the wine industry did not disappear, and many French winemakers set forth about the globe at this time, influencing wine making practices (and making them better) around the globe. None-the-less, you can see that the word “phylloxera” sets fear into the hearts of wine lovers. So this is an edge of your seat ride to see if the vineyards of the world and wine can be saved. I said this was beach reading right? It is. While it is full of great information on vineyards around the globe, fancy wine auctions and cellars in Champagne, it gives you that information in an entertaining way. 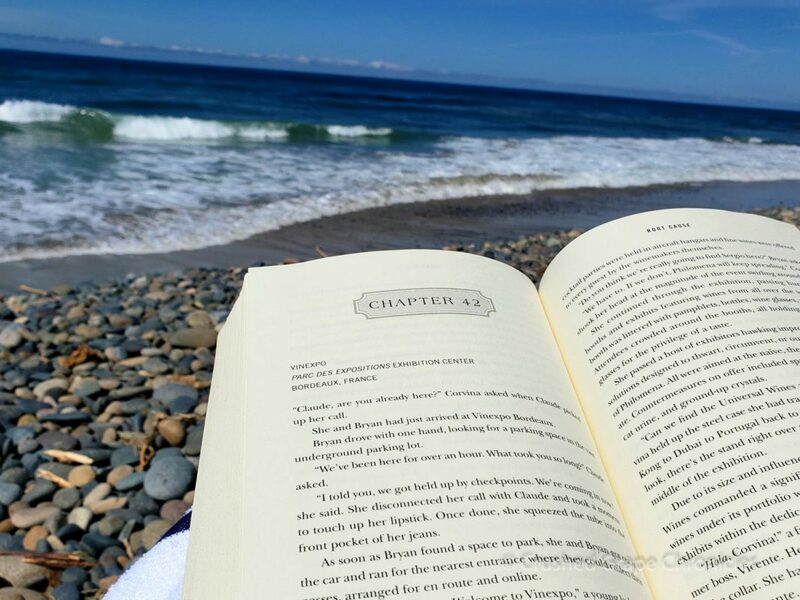 The chapters are set up in bite size bits, perfect for taking a break between chapters to take a dip in the ocean or refresh your beverage. It’s easy reading, sometimes a bit contrived and silly. A little like a Dan Brown novel with the Scooby Doo gang. Okay….perhaps not quite that, but…it’s built to be approachable like Zinfandel or Shiraz. (There is a Super Villain with an underground lair!). We ARE at the beach! We don’t want to have to work too hard! This is perfect. I absorbed some great wine knowledge and got insights into different aspects of the industry. This book is a page turner! I read this over the course of 2 days at the beach. I assumed the outcome would be good, but chapter to chapter…it was a quick breathe to look at the ocean, a sip of a drink and back in to see what happened next. This is a perfect introduction to get you addicted to the complex world of wine. Are you a wine lover with a bunch of friends who are just casual wine drinkers? This is the perfect way to get them hooked on wanting more wine details, and guarantee you some better wine conversations! Here is a little about the author provided to me by Kelsey at Book Publicity Services. He has a ton of wine knowledge that he works beautifully into this novel. You can picture the vineyards, the wineries, the cellars…and by the end of the book, you will probably be googling these places to see and hear more about the history and stories. I’m inspired to learn more about the cellars and connected tunnels underneath Champagne. Steven Laine was raised in Ontario, Canada and has dual Canadian and British citizenship. He has travelled the world working in luxury hotels for international brands including The Ritz, Hilton, Starwood, Marriott, and Jumeirah. 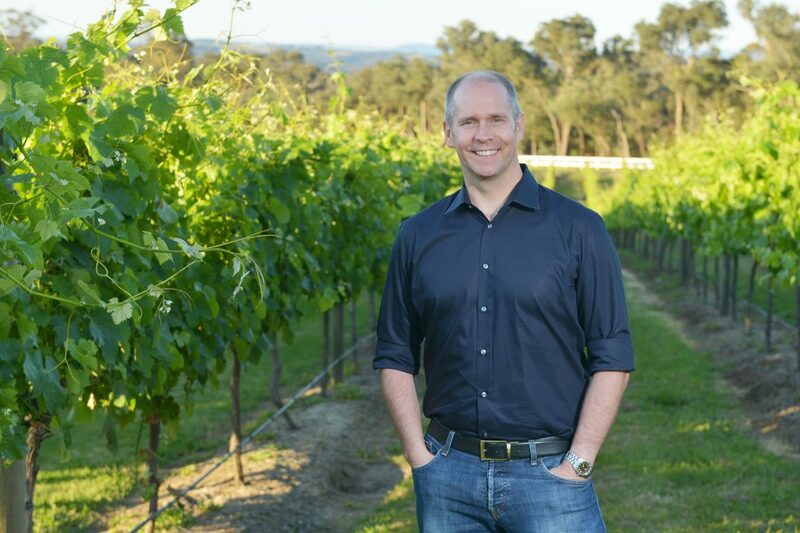 When he was Beverage Manager of a five star hotel in London, he learned all about wine and has since visited over one hundred vineyards and wineries in Napa, Burgundy, Bordeaux, Champagne, Spain, Portugal, Germany, Switzerland, Lebanon, and South Africa. As the only North American ever invited to be a Member of the Champagne Academy, he had the privilege to tour the major Champagne Houses in France. His circle of friends is made up of winemakers, Masters of Wine, Master Sommeliers, restaurant managers, and wine distributors from all over the globe. 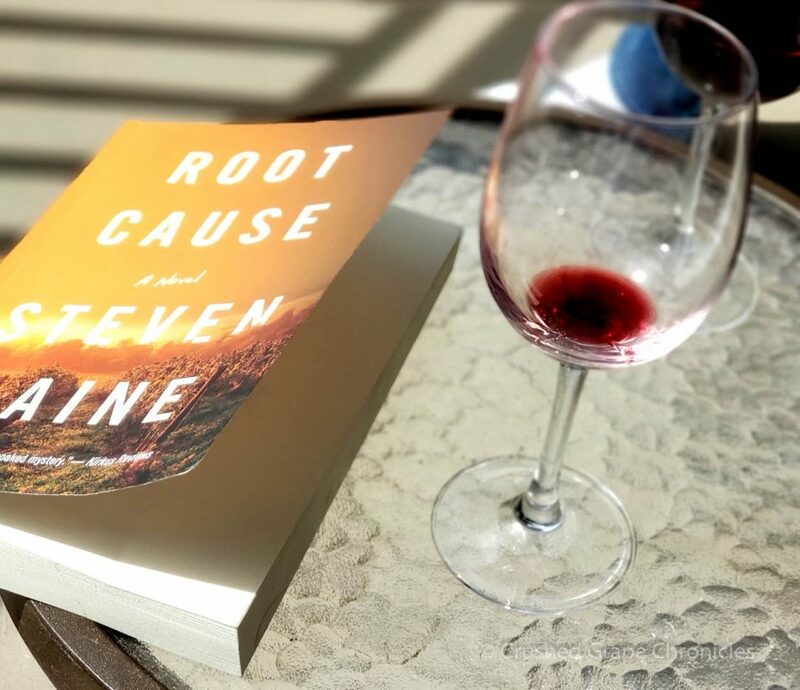 Steven’s debut novel, Root Cause will be released on February 19, 2019, published by Turner Publishing. Steven currently lives in Singapore and is now working on his next novel. To learn more, go to www.StevenLaine.com. Readers can connect with Steven on Facebook, Instagram, Twitter, and Goodreads. This 400 page wine thriller can be found through Turner Publishing. You can download or order the paperback version. I like holding a book, especially at the beach with the sun, but it is also available to download on your Kindle. As always be sure to follow us on Facebook, Instagram and Twitter to keep up to date on all of our posts.